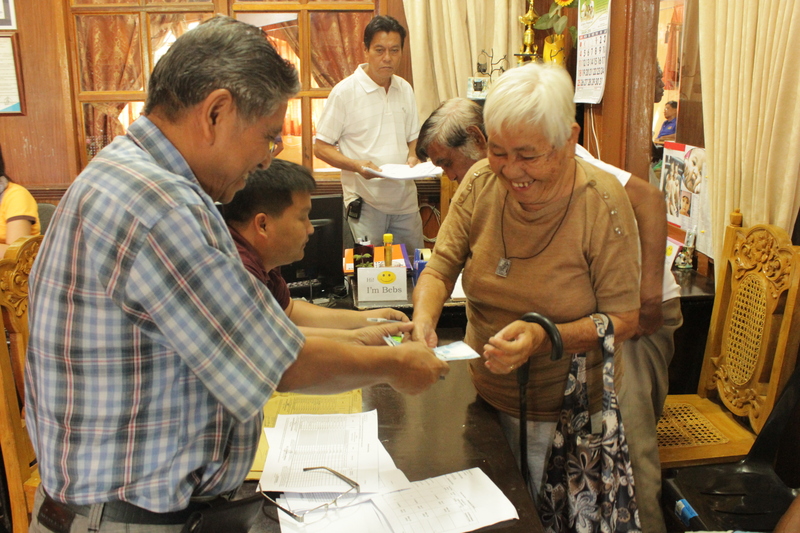 JAGNA – Victims of TD Queenie last November 26, 2014 gathered at the second floor of the municipal hall in the morning of January 15, 2015 to receive cash assistance from the local government unit. Tropical Depression Queenie in November left with damages to houses, fishing boats, agricultural crops and livestock as well as took the lives of four people in the town with one still missing. 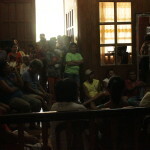 Coastal barangays – Ca-uba, Ipil, Cantagay, Bunga Mar, Can-upao, Looc, Pagina, Poblacion, Pangdan, Nausok, Larapan, Tubod Mar,Naatang and Aejawan – were severely affected. There were totally washed out houses due to “windwave” and fishing boats totally wrecked. In the morning of November 27, the 8th Sangguniang Bayan convened and declared the municipality under State of Calamity thru SB Resolution No. 150-11-2014. Recipients waiting for their turn to receive the assistance. There were a total of 258 recipients of cash assistance for those with totally damaged fishing boats and 47 recipients for the assistance to totally damaged houses. 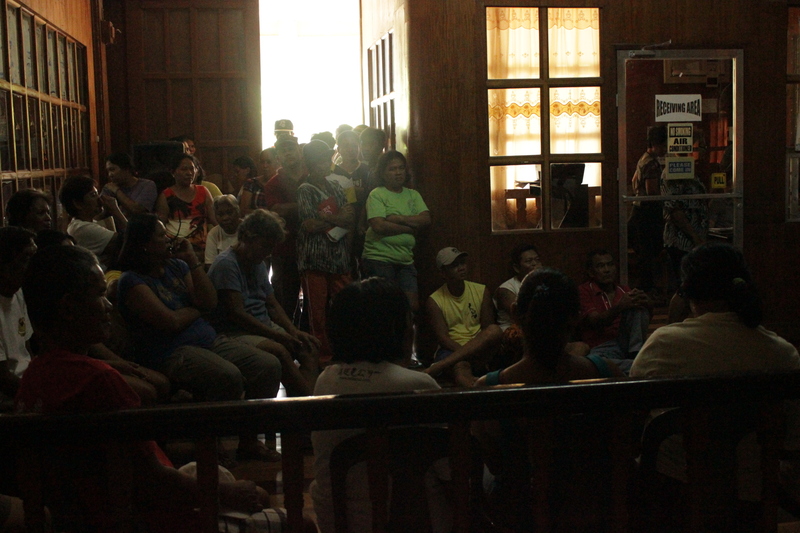 The amount of assistance to totally damaged houses and fishing boats was three thousand pesos. assistance to a recipient from Bunga Mar. The number of recipients with totally damaged fishing boats per barangay – Alejawan, 5; Bunga Mar, 52; Can-upao, 108; Looc, 13; Can-uba, 2; Naatang, 10; Ipil, 3; Tubod Mar, 15; Pagina, 17; Tejero, 4; Nausok, 2; Pangdan, 6; Cantagay, 21. For totally damaged houses – Alejawan, 6; Bunga Mar, 5; Can-upao, 7; Looc, 8; Naatang, 3; Tubod Mar, 9; Cambugason, 2; Cabungaan, 2; Tubod Monte, 1; Cantagay, 4.